A massive thank you to all who donated and supported our raffle at our Dinner Dance and Social Night held in October. An outstanding €1,043. was raised for the Charity EMBRACE FARM. Embrace Farm is a farm accident support network, a caring and supporting Agri community for all affected by farm accidents. 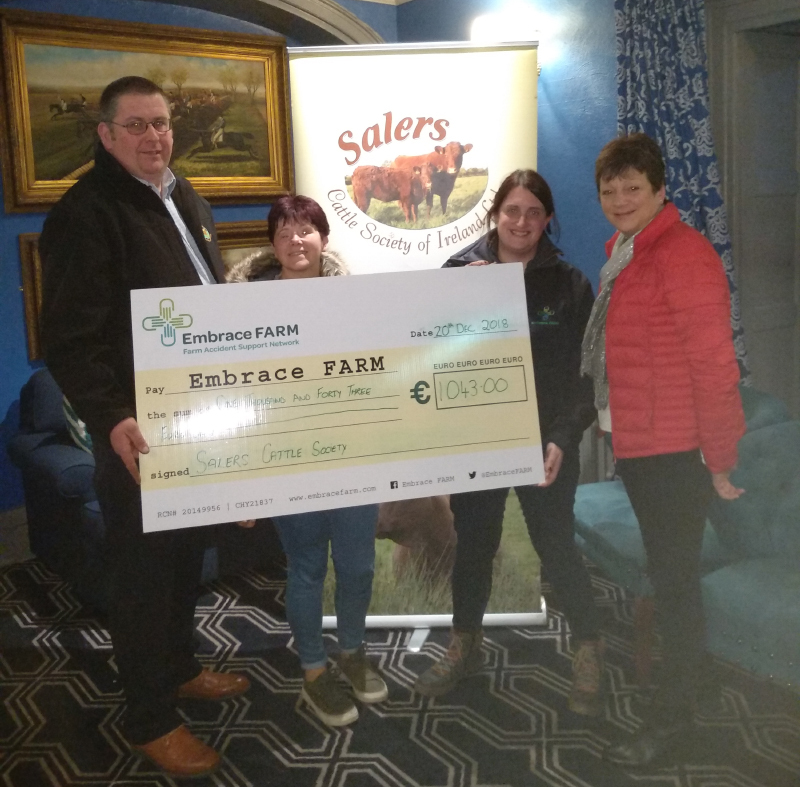 (In the photo) Eddie Brennan (Chairman), Em Farrell (Organiser)and Meryl Gillespie (Secretary) presenting cheque to Catherine Collins, Embrace Farm.